The UK’s sugar tax on drinks starts today and over the past few days I have been speaking on BBC radio, and BBC News TV about the tax. Here are some of my observations. The sugar tax on drinks which starts on Friday has been a great step forward in Government prompting industry to take action to help make it easier to drink more healthily, but caution is still needed as NOT ALL drinks now have less sugar. 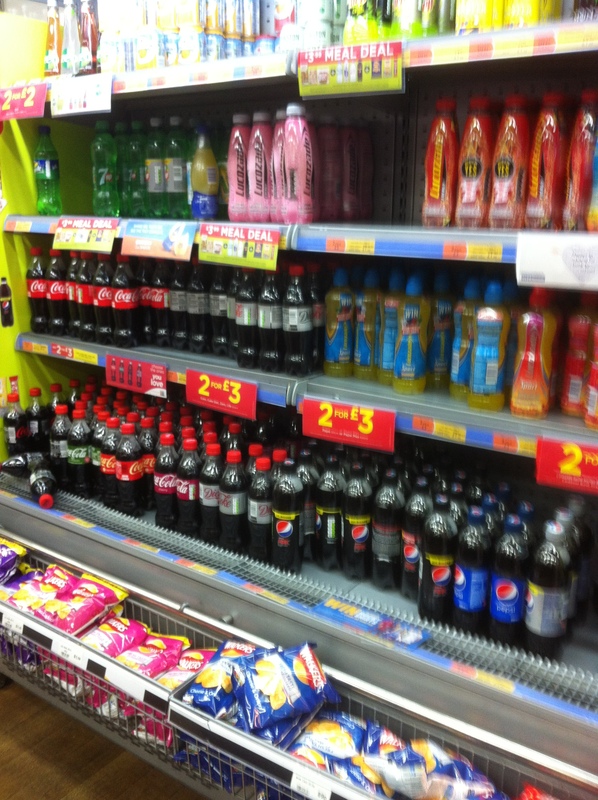 Coca cola classic and pepsi have not changed, and will be taxed because they contain 12 teaspoons of sugar per can. The majority of other soft drinks brands have altered the recipe so they contain less sugar and are below the tax thresholds. But many of these ‘just below’ brands still contain up to 4 teaspoons of sugar – you would think twice if that was spoons of sugar in your tea. Various forms of sugar tax or soft drinks tax have been introduced in more than 26 countries and the evidence shows that consumption of sugary drinks declines. In our University, we trialed a sugar levy and found a 33% reduction in sales of sugary drinks but no overall change in sales as students switched to lower sugar versions and water. Many people don’t like the idea of the sugar being replaced with artificial sweeteners. And since the sugar tax was first announced in 2016 we have become more aware of plastic, and projects such as Refill promoting access to free tap water are catching on. The reformulation triggered by the sugar tax has been welcome, but making water the norm, and soft drinks an occasional beverage is still sensible, particularly for children. It’s worth keeping in mind that the American Heart Association advises that children should have no more than one (250ml) can of sugary drink per week, yet UK data shows that people who drink soft drinks typically have one can a day. 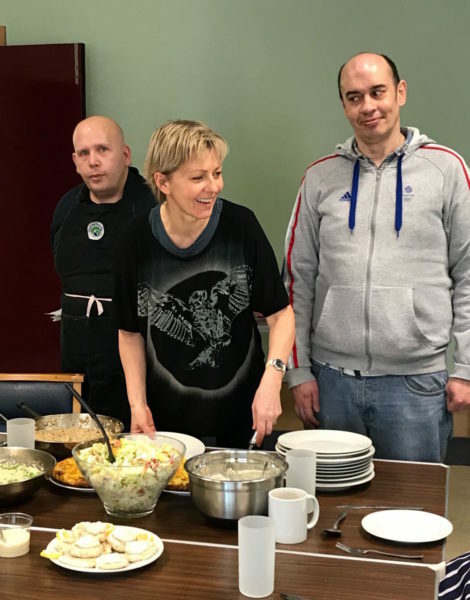 Gill (pictured centre, in picture) volunteered with several projects including healthy weight, community cookery sessions and the dementia gardening and cookery project. 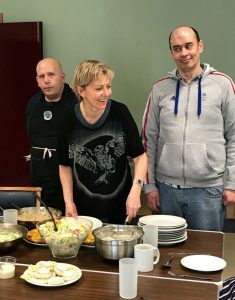 Having never worked with dementia before, the dementia projects were some of the most rewarding and added a new dimension to thinking about ’empowerment’ aspects of health promotion.